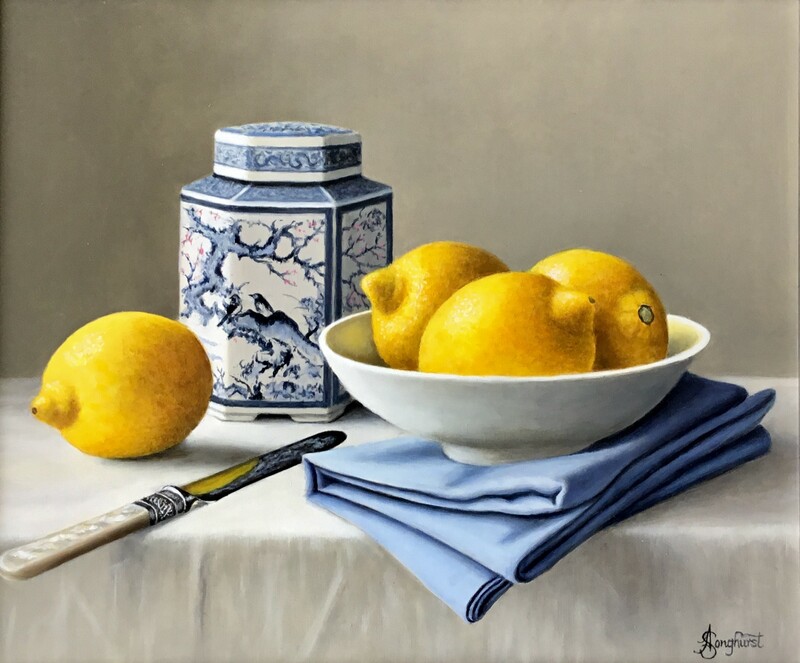 Anne has been painting full time since 1998. 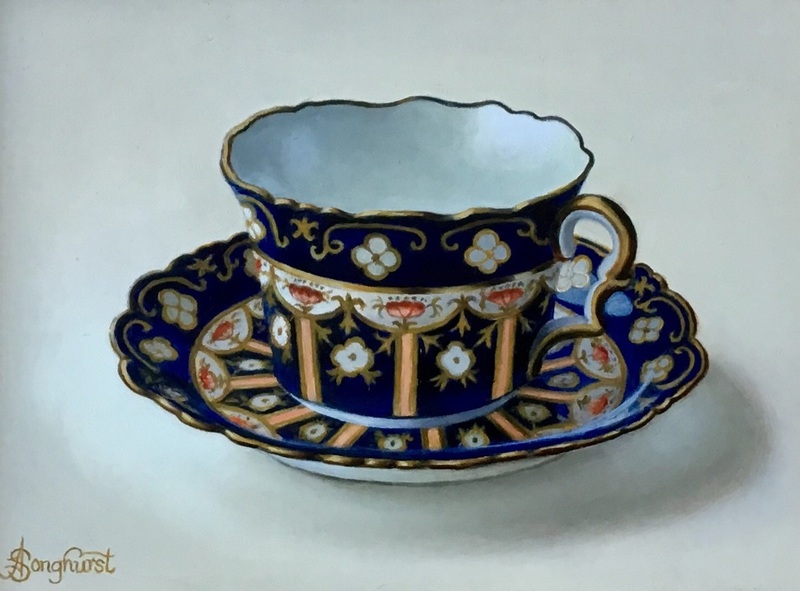 For many years she painted watercolours of birds, many of which were supplied to galleries around the UK and the United States. 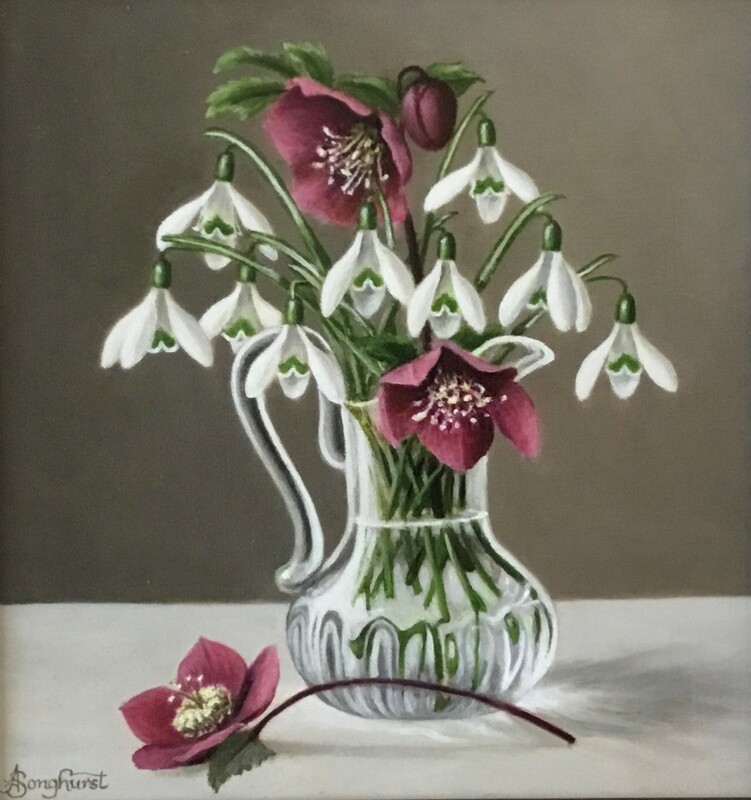 Other wildlife and botanical subjects have also featured strongly in her work, and have been exhibited in Hertfordshire, Bedfordshire and in London. 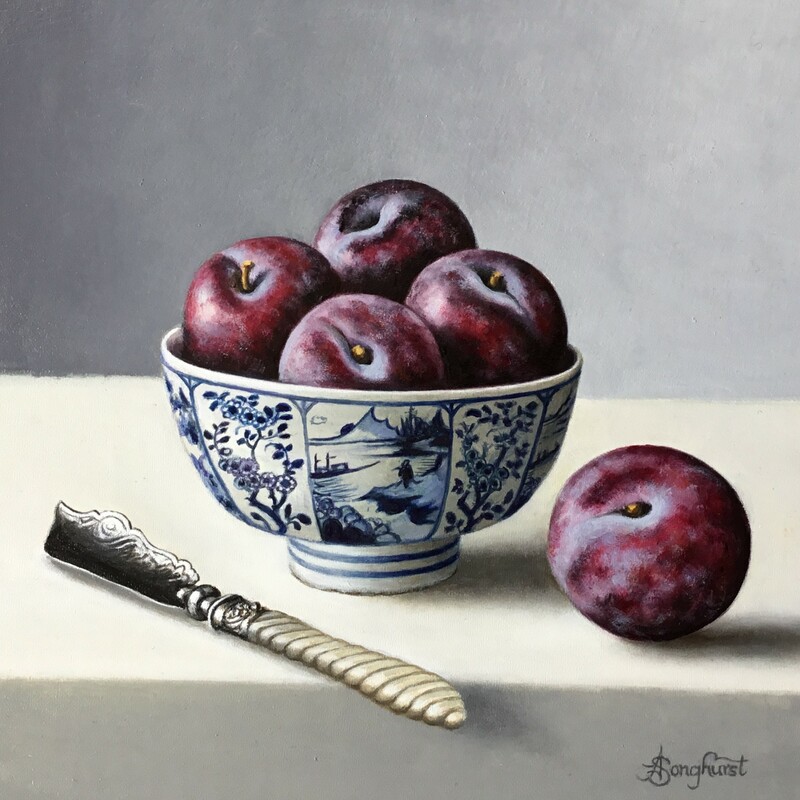 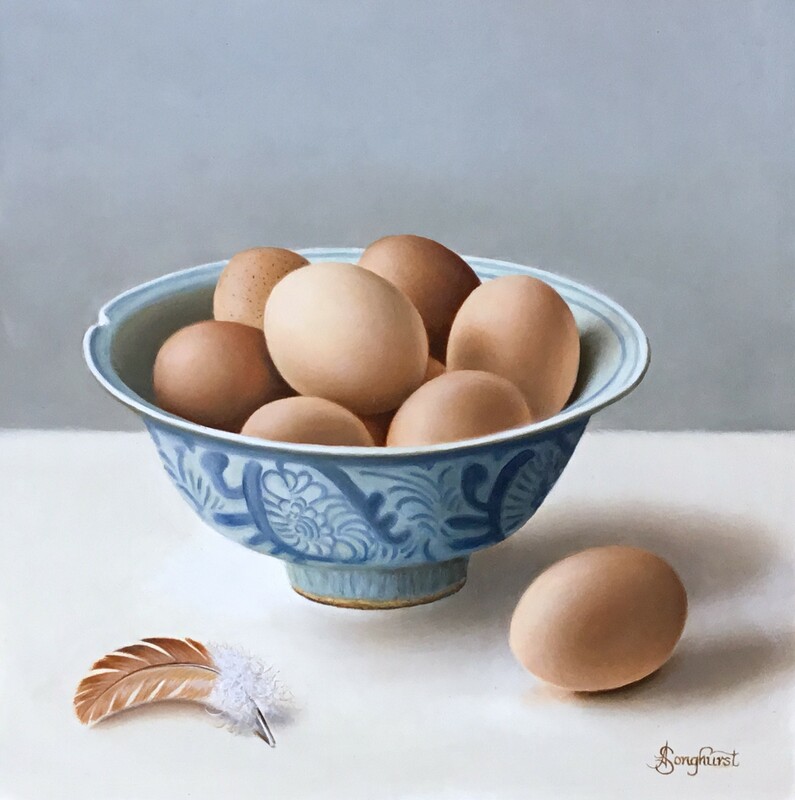 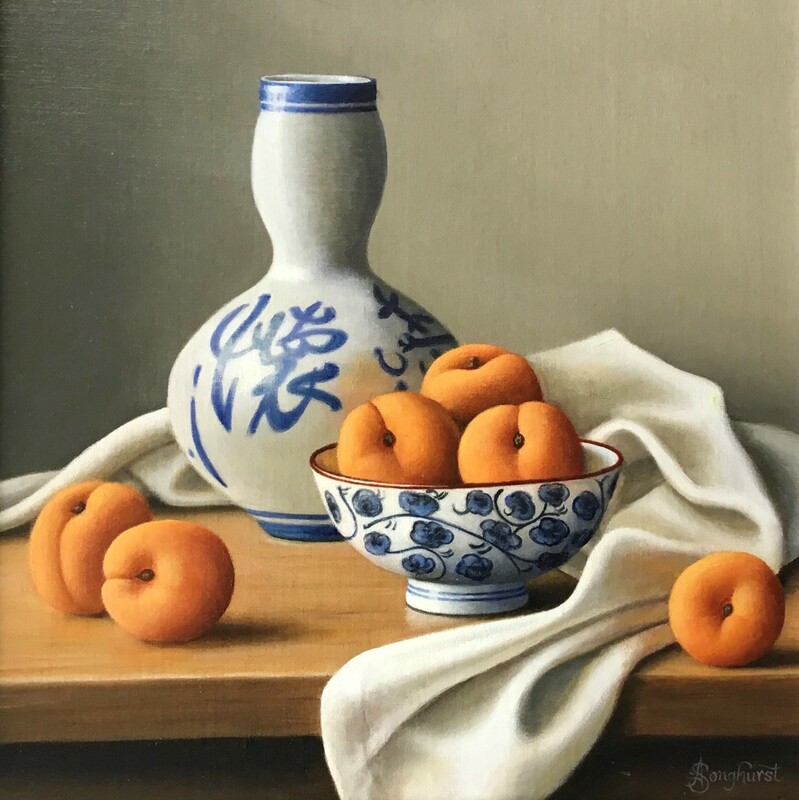 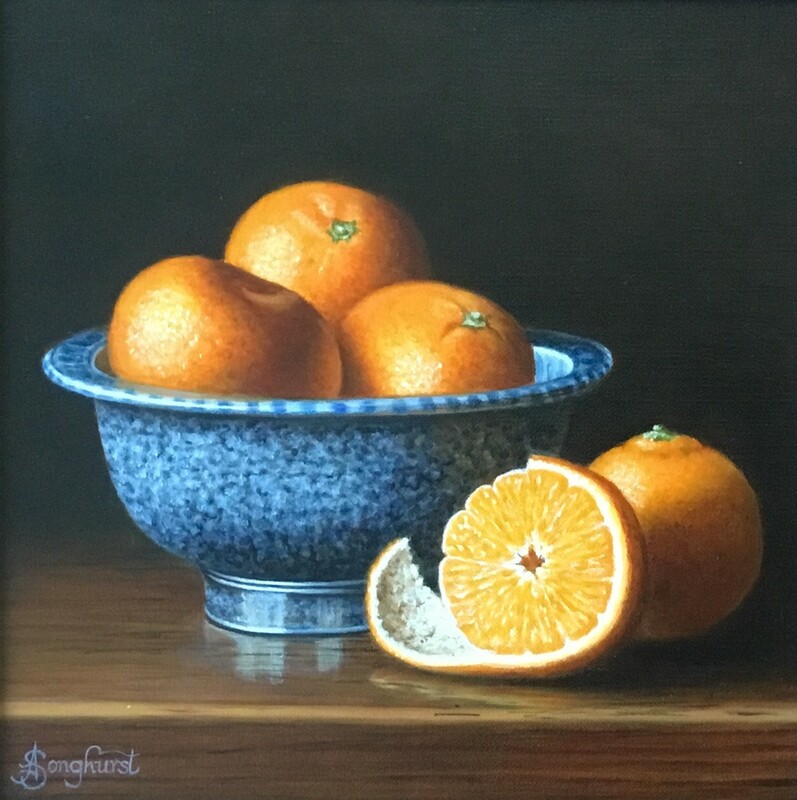 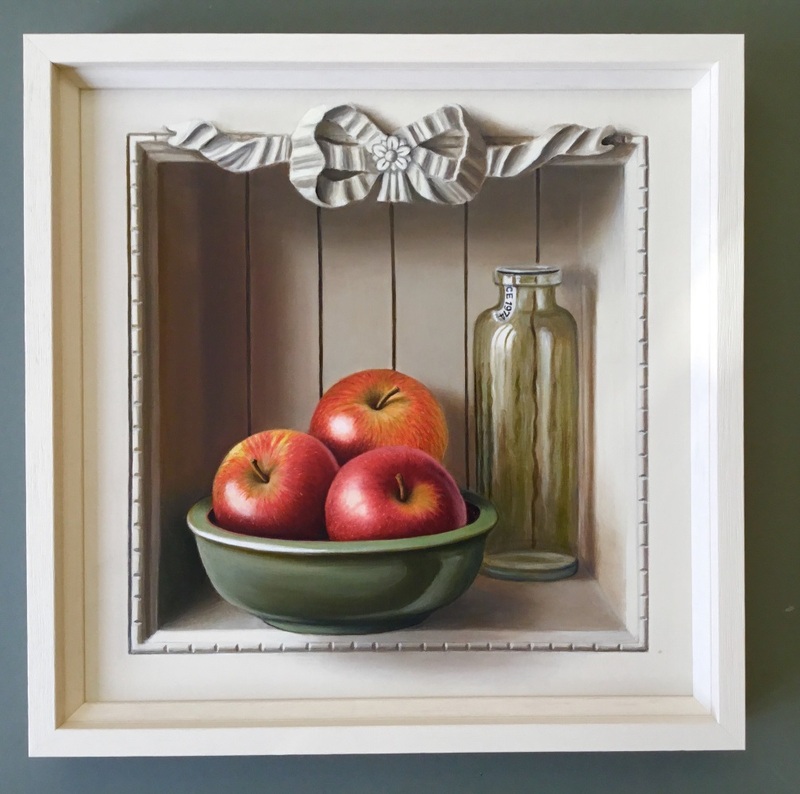 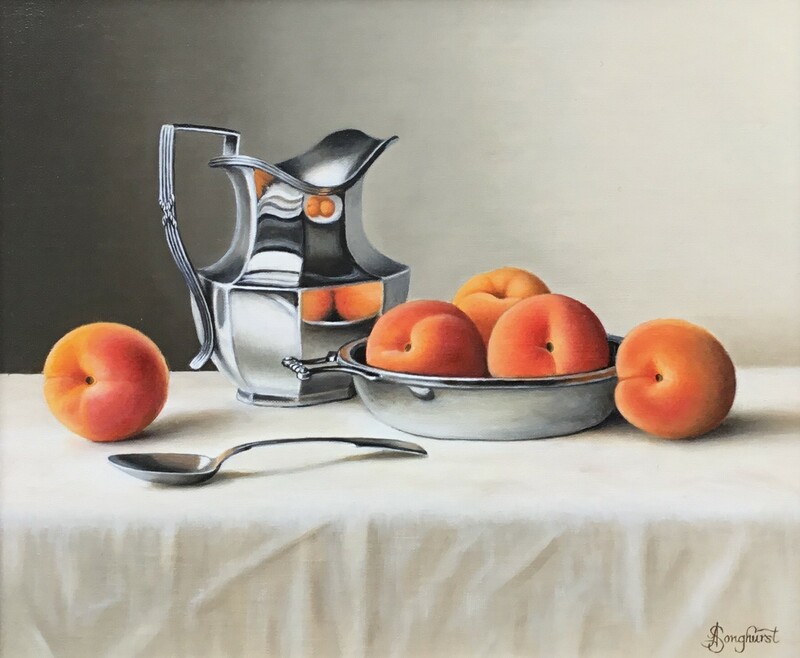 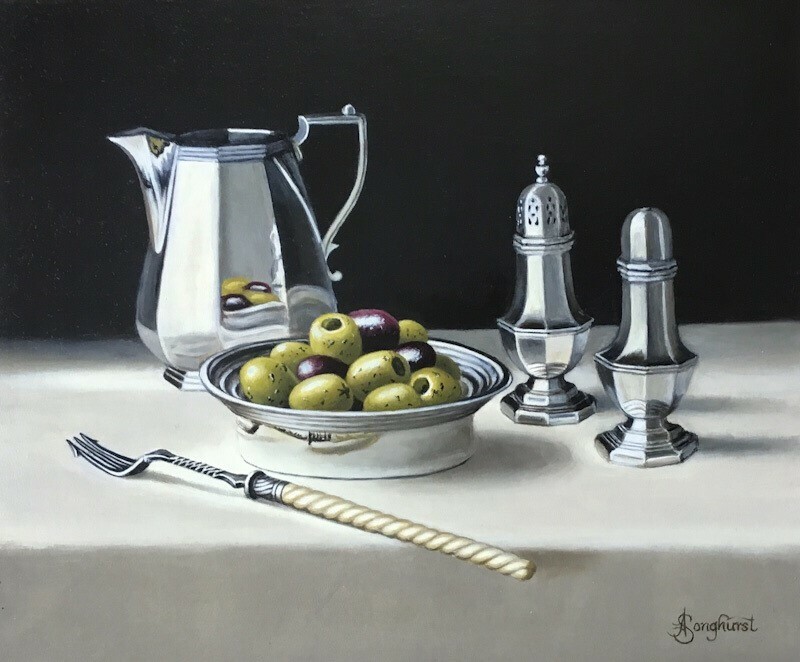 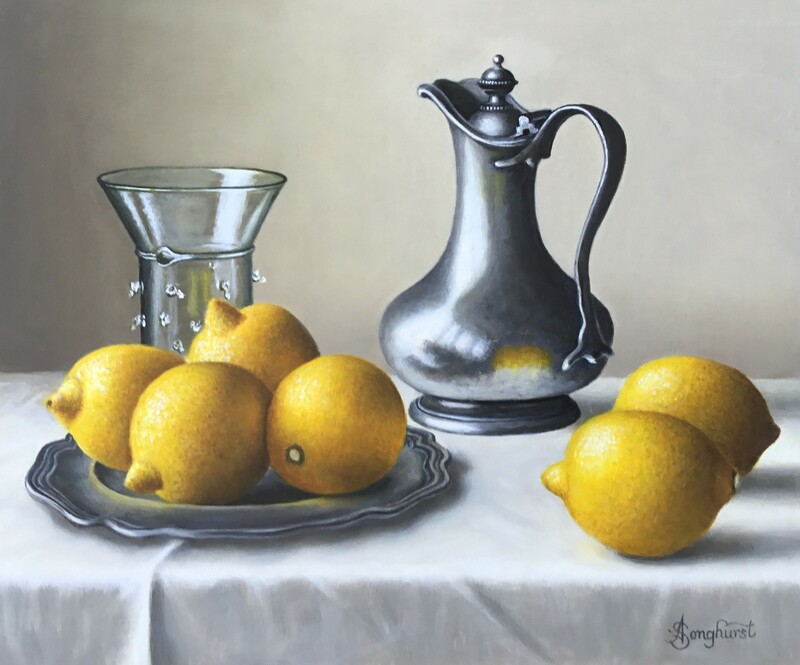 Over the last few years she has concentrated on still life in oils, inspired by the Dutch and Flemish Masters. 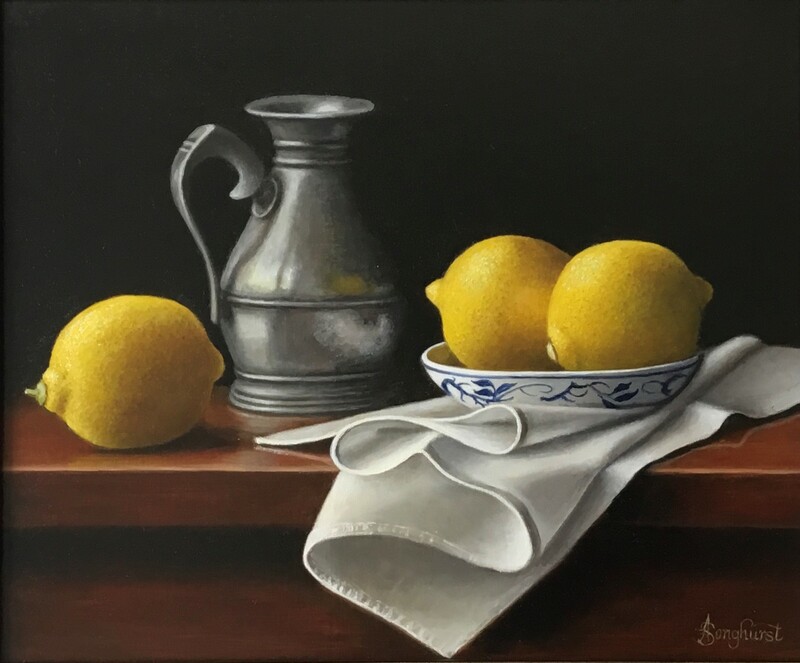 She does not seek to achieve photo-realism, but rather to convey an atmosphere of stillness and a timeless quality that comes with many days or weeks of close observation. 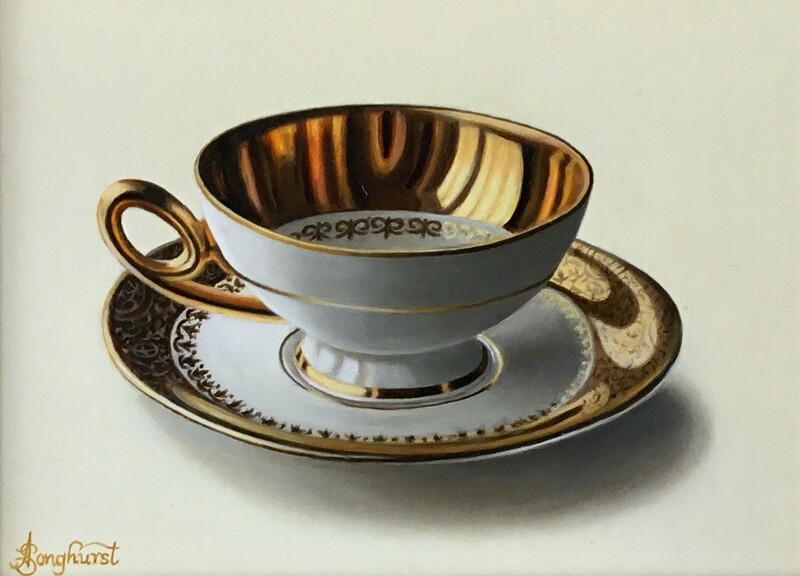 Detail is built up in several layers of paint to bring out the various textures and the effects of light on everyday objects. 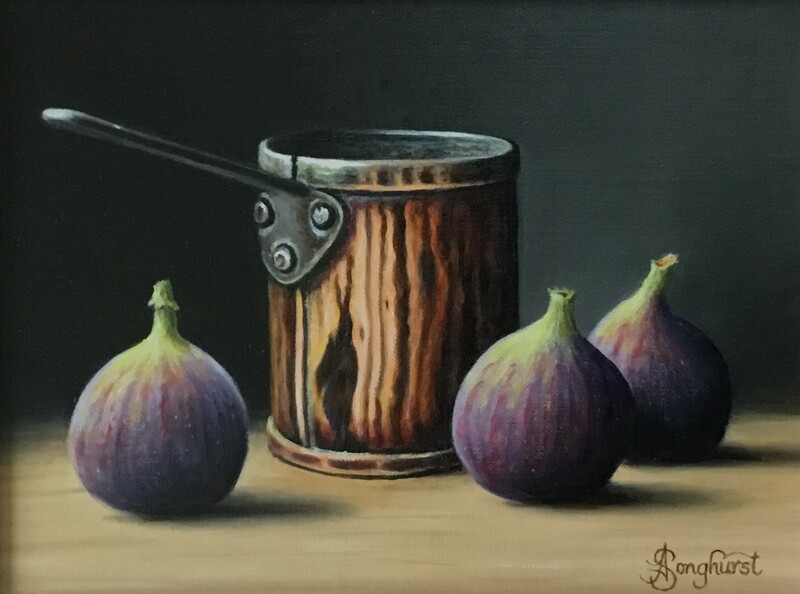 She loves rich colours and contrasting textures, and hopes to inspire the viewer with the same enthusiasm. 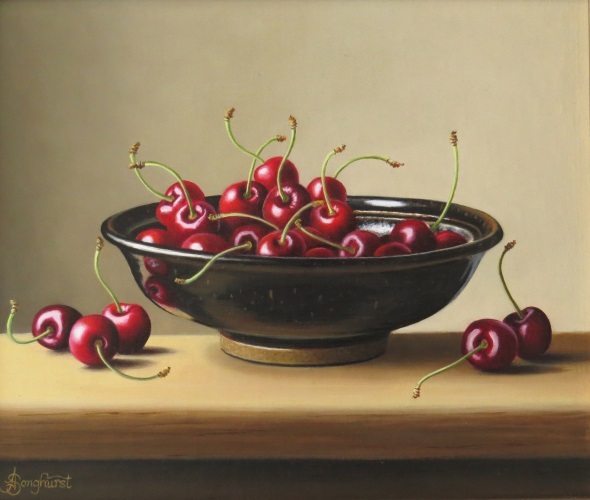 Anne has been a regular exhibitor with Wren Gallery since 2007.